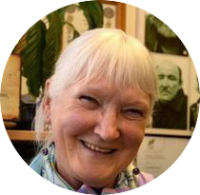 Alice Leahy is director and co-founder of the Alice Leahy Trust (formally known as Trust, and set up in 1975) which is a befriending, social and health service for people who are homeless. Alice is also a writer, lecturer, commentator, broadcaster, former nurse, and former member of the Irish Human Rights Commission and the Sentence Review Group. Alice has directly contributed to public policy as a member of various policy bodies such as the Lord Mayor’s Commission on Crime. Alice compiled the Report on Medical Care for the Vagrant in Ireland in 1974, the first report of its kind published in this country. 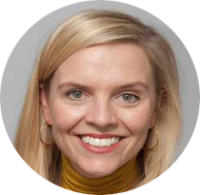 Alice also served as Assistant National Director of Simon Ireland and has also produced a number of educational initiatives. 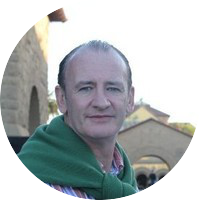 Mark Mullan is the Regional Director in the Middle East for the Swiss organization HEKS/EPER. His primary achievement in 2018 was working alongside his Syrian NGO partner GOPA-DERD on the ground to successfully negotiate with the Syrian authorities for the delivery of lifesaving emergency humanitarian assistance to 30,000 people in eastern Ghouta. Mark was one of only three foreign members of the first delegation permitted to visit eastern Ghouta to evaluate the conditions of the population. Mark travels frequently to other countries in the region as part of his regional humanitarian role to include; Iraq, Israel, Palestine, Yemen and Lebanon from his Jordan base. He formerly headed a number of major missions with ECHO in Africa. Emma Mhic Mhathúna needs no introduction. The mother-of-five found herself at the middle of the cervical screening controversy when she was diagnosed with terminal cervical cancer following two incorrect smear test results. 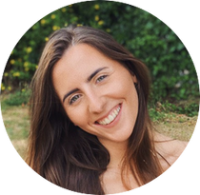 Despite battling a terminal illness, Emma pursued the truth about what happened to her and thus became a voice for all women affected by this issue. Emma launched legal action and received a settlement of €7.5m which will secure her children’s financial future. She was one of the most public figures in the controversy, giving many honest and harrowing interviews about her diagnosis and she engaged in public life, campaigning about what happened, right up until her death on Sunday 7 October. 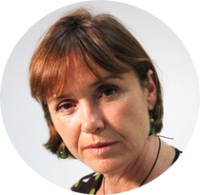 During her 20 years as a foreign correspondent at The Guardian, Maggie O’Kane’s accolades include British Journalist of the Year for her work in Bosnia, and Amnesty International Journalist of the Year for her work on sanctions. Maggie was also awarded an Emmy for her documentary film Baghdad: A Doctor’s Story. In recent years, Maggie created, implemented and sustained The Guardian’s Global Media Campaign against Female Genital Mutilation. She has now formalised the entity as an independent charity charged with the abandonment of Female Genital Mutilation/Cutting worldwide by 2030. As well as her ongoing journalism and film work, Maggie now trains young journalists across Africa, particularly focusing on amplifying in country mass media awareness, at academies set up and run by the Global Media Campaign. 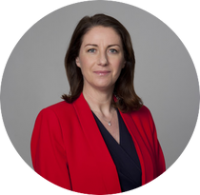 As political correspondent with RTÉ’s Prime Time programme, Katie Hannon forensically pursued the Maurice McCabe story for over four years. She broke a number of major stories that were instrumental in exposing how the garda whistleblower had been let down by the State. In Katie’s reports, Prime Time broadcast evidence that helped disprove the allegation that Maurice McCabe had not co-operated with the internal garda investigation into issues with penalty points. She also reported on the very serious failings in investigations and revealed how a series of errors led to the whistleblower being wrongly accused of sexual abuse. Prime Time’s coverage of these issues helped drive a public outcry and contributed to a number of positive developments in relation to the oversight of policing. Katie’s two-part documentary Whistleblower: The Maurice McCabe Story directed by Maire Kearney, was broadcast by RTÉ last night, with the second instalment due to be aired tonight. 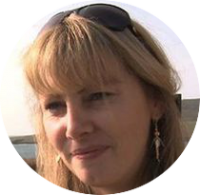 As an Emmy-nominated journalist and filmmaker, Shaunagh Connaire has a large portfolio of investigative journalism under her belt which has led to real and tangible change. From the Ebola zone in Sierra Leone to the refugee crisis in the Middle East, Shaunagh has given a voice to the voiceless. In the past two years, Shaunagh reported on the lives of Syrian refugees in the Middle East and Europe and her investigation into the plight of sick refugee children ultimately helped lead to a Syrian family being resettled, thanks to her lobbying during and after “Dying to come to Britain” aired on Channel 4 Unreported World on 7 April 2017. Jessie Clohisey is a 19-year-old full-time student in DIT. In September 2015, Jessie brought the message of Cycle Against Suicide to the heart of her community in Clontarf when she launched the Sail Against Suicide, an independent and standalone initiative that would capture the hearts and minds of her entire community and beyond. Today, the Sail plays a key role in raising awareness of mental health and signposting those in need to relevant agencies that offer help. Organizing the Sail Against Suicide is a mammoth task and to support her efforts Jessie has mobilised hundreds of local volunteers, sponsors, schools, supporters, caterers, musicians, photographers, face painters, entertainers, athletes, celebrities and sport stars. 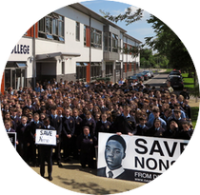 When the students and teachers in Tullamore College learned that 14-year-old Nigerian student Nonso Moujeke and his mother and older brother were to be deported, the school community rallied around Nonso and started a campaign opposing the deportation, on human rights grounds. The Moujeke family had been living in Ireland for 12 years. The Tullamore College students conducted a social media campaign which was carried by all local and national media outlets and they also secured over 22,000 signatures on a petition. The school galvanized not just the local community but their voice was heard on an international stage as they received messages of support from all over the world. On 10 October, the Irish Naturalisation and Immigration Service (INIS) of the Department of Justice and Equality, confirmed that the Moujeke family had been granted permission to remain in the State. 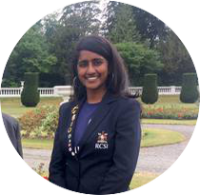 Niveta Ramakrishnan who moved to Ireland on her own five years ago at the age of 16 is an accomplished humanitarian, and a student of medicine at the Royal College of Surgeons Ireland (RCSI). As a first year medical student, Niveta was a core committee member in organising “Fáilte: Facing the Global Refugee Crisis”, for RCSI. Niveta was subsequently invited to join a course given by the UN on international human rights, held at the Curragh camp and she represented the Irish Defence Forces at the 16th Annual Civil Society Forum on Human Rights. Niveta is also actively involved with the National Youth Council of Ireland and Foróige, and is an Irish Red Cross volunteer. She has represented some of these organisations at an international level. One in eight people in Ireland experience food poverty yet one million tonnes of food are thrown out by Irish consumers and businesses every year. 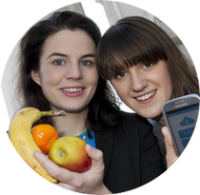 FoodCloud addresses this issue by bringing retailers and suppliers with surplus food together with local charities and community groups who assist with food supply and distribution. This diverts food from landfill and ensures good food goes to those who need it. By mid-October 2018, FoodCloud has redistributed over 18,200 tonnes of food – the equivalent of over 40 million meals – to charities and community groups in the UK in partnership with FareShare, and in Ireland through FoodCloud’s technology platform and retailer and redistribution network. Tech for Good Dublin is innovating for change by focusing on the power of technology to positively impact people, communities and the planet. As well as promoting Tech for Good projects, the group has built digital disaster reduction maps for Haiti, workshopped solutions to challenges for Men’s Sheds Ireland and is working to match volunteers with social impact projects. 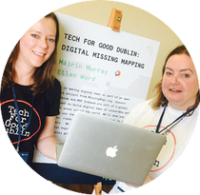 Tech For Good Dublin events are open to everyone and bring together techies and non-techies to share ideas and learn from expert speakers, 50 per cent of whom are women. Although founded just over 18 months ago, Tech for Good Dublin already has almost 1,300 members and so far the organisers have issued 770 tickets across 15 free events around Dublin. 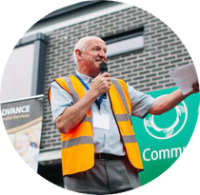 Ó Cualann is a voluntary housing co-operative, with approved housing body status. The Alliance envisages developing fully integrated communities where “owner members” will live side by side with “tenant members” in social, voluntary and private rented homes, sharing common amenities. Using the Ó Cualann model, the alliance is currently delivering an affordable housing scheme which is open to owner-occupiers who meet the eligibility criteria. The first project has seen Ó Cualann build an estate of 49 houses in Ballymun where prices started at €140,000 for a two-bedroom home to €219,000 for a four-bedroom home. Ó Cualann developments place a particular emphasis on energy-efficient housing with the Ballymun development achieving some of the highest energy ratings on the market. Aviva focuses on making a difference that is relevant to the everyday lives of their customers and their local communities. Aviva employees chose Pieta House as Aviva Ireland’s charity partner from 2016 to March 2018 and in 2017 alone, Aviva raised just over €111,245 for Pieta House. Aviva provides match funding and three company days per year for employees to encourage them to contribute their time, skills, funds and passion within local communities. In 2017, 721 employees volunteered a total of 3,871.5 hours. In 2017, Aviva also supported another 46 charities through a range of different activities which included skill-sharing, redecorating a room/garden or baking a cake. Amgen uses cutting-edge science and technology to study the subtlest biological mechanisms in search of therapies that will improve the lives of those who suffer from serious diseases. The main vehicle for Amgen’s corporate philanthropy and corporate social responsibility is the Amgen Foundation which seeks to advance excellence in science education, inspire and prepare the next generation of innovators and strengthen communities where Amgen staff members live and work. In Ireland, the Amgen Foundation has contributed €600,000 to advancing science education and over 53,000 students have been reached as part of Amgen Teach, Amgen Biotech Experience and Amgen Scholars programmes. Amgen Dun Laoghaire also supports their local community with grants and support funding of €80,000 per year for local charities and community projects proposed by their staff. Fleming Medical is a medical supplier based in Limerick and have been corporate partners with the Irish Red Cross for over 10 years. In the past decade, Fleming Medical has supported the Irish Red Cross with medical equipment including free responder bags for the entire ambulance fleet and Automatic External Defibrillators (AEDs). For every minute an AED is delayed, there is a 5-10% reduction in survival. Fleming Medical’s donation of AEDs and other equipment means the company has been instrumental in helping the Irish Red Cross volunteers save lives. The same equipment has also supported Irish Red Cross volunteers’ first aid training. Fleming Medical also runs Medicare First Aid Training workshops in pharmacies all over Ireland with the use of the Irish Red Cross trainers network and to date, over 2,000 people have been trained via this service.